A bank, iDeal, oGone, Paypal or other payment providers getting all revenue in Google Analytics? 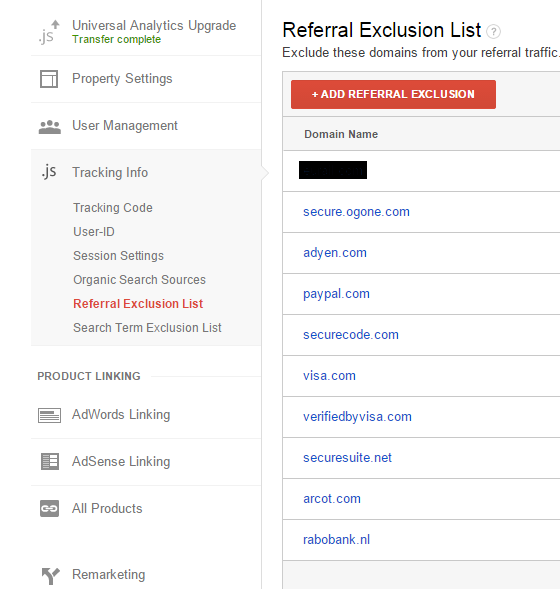 More and more people switch to the new Google Analytics Universal tracking code. But by doing that they create a new 'problem'. The Google Analytics Universal scripts handles visits from new sources during an existing visit as a new visits while the old analytics code didn't do that. The second line shows what happens in the new situation. The payment providers get all the revenue attributed to them. This occurs when visitors have to click on a link to return to your thankyou page. Google Analytics will see a new referrer and start a new session with the payment provider as the source. Google Analytics will see this nooverride parameter and will ignore the new source. This leads to the first situation showed in the first image, the revenue will be attributed to the right source. And that's what we all want. 5 Google Analytics reports you should check to verify your numbers tell the truth! New users landing on your ‘thankyou’ page from Organic or Adwords?